“About 90,000 military spouses require a license to work in their career field,” according to Marcus Beauregard, Director of the Defense State Liaison Office. Last month, the Federal Trade Commission’s Economic Liberty Task Force hosted a roundtable to look at different ways to make it easier for military spouses to hold and maintain occupational licenses across state lines. And recently, the White House has taken an interest in military spouse employment issues, focusing on license and certification portability, as well. When it comes to employment struggles, most military spouses face resume gaps, costly licensing fees, and some are forced to obtain additional education in each state they move to. Fields such as healthcare, education, or law, for example, can be especially challenging to maintain employment in due to frequent military moves to different states every few years. But those aren’t the only professions plagued with license and certification issues. Interior designers make indoor spaces beautiful and functional by selecting decorative materials, lighting, and color schemes while factoring space requirements and accessibility standards. Extensive knowledge of building codes and inspection regulations are required to obtain a license in interior design. In order to qualify for a license, you have to take a state exam through the National Council for Interior Design Qualification. Candidates typically must complete a bachelor’s degree in interior design and have at least two years of work under their belt before being allowed to take the licensing exam. If you’re already a licensed interior designer, most states will allow you to transfer your license; provided your prior education and experience are substantially equivalent to the new states requirements. Even seasoned interior designers know competition is extremely fierce in this field, and building a clientele base takes time, effort, and great local connections—something that can be especially problematic if you’re set to PCS at any point during this process. American Sign Language (ASL) interpreters help the deaf or hearing impaired by converting spoken language into sign language in either a group setting or one-on-one conversations. Most states require ASL interpreters to be licensed through their state’s health department. Let’s say your family is stationed in California, where there is no requirement to obtain a license as an ASL interpreter. If your service member receives orders to North Carolina, you will be required to obtain a license to continue your work with deaf or hearing impaired individuals. Other states may waive the requirement for ASL licensure if you choose to work in a school setting. Another option would be contracting with a company that provides Video Remote Interpreting (VRI). You may be able to avoid this scenario altogether if you contact the other state prior to providing any virtual services to clients. Athletic training is where medicine meets sports. While you won’t need a medical degree to practice in this profession, you may soon need to obtain the minimum of a Master’s Degree in order to even take a state exam. The Commission on Accreditation of Athletic Training Education, which governs college athletic training programs, recently decided that all athletic training programs will only be offered to students pursuing a graduate degree. If you already hold a bachelor’s degree in this field or are currently pursuing one, you will be grandfathered. Anyone pursuing this career path after the fall of 2022 will only be able to become a Professional Athletic Trainer if they receive their Master’s Degree from an approved program. If you have been an athletic trainer for a while, you may already know about the different licensing requirements in each state. However, there are a combination of relocation factors you may want to consider, too. As with other state licenses, each state varies on the requirements to work as an athletic trainer. For example, you’ve already been working in this field while stationed in California, where a license isn’t required. Your service member receives orders to South Carolina, which requires you to take a state exam and complete two years working under the supervision of a certified athletic trainer. It’s quite possible you may not meet the supervision requirements before your family relocates again. 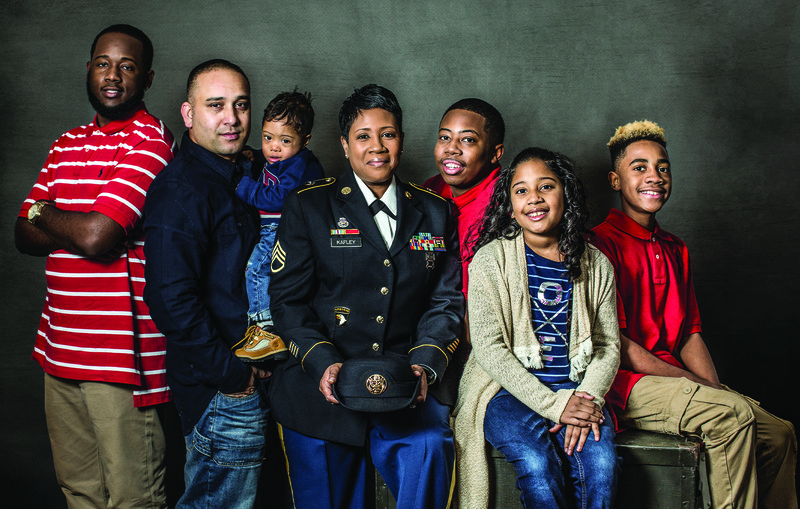 On the surface, cosmetology may seem like the most portable profession for a military spouse. The training programs only take a year or two to complete, doesn’t require an advanced degree and your skillset is in demand almost everywhere…but you’ll still need to be licensed. Each state sets the number of cosmetology hours required to obtain a license—ranging from 1500 to 2100 hours. If you received your license in a state that only requires 1500 hours of training, and you PCS to a state that requires 2100 hours, you may be responsible for making up that 600 hour difference if you want to work for a salon at your new duty station. Take this scenario: your family moves to Virginia, where you can obtain “licensure by endorsement” and transfer your credentials from another state. As long as you passed your home state’s exam, pay $105 for the Virginia license, and the amount of hours is at least 80% of what Virginia requires, you can start looking for work. However, if your service member receives orders to New York, instead of Virginia, you may be looking at some stricter licensing requirements. New York has a few reciprocity agreements in place, so it’s possible you’ll still need to take additional classes or pass the state’s board exams…or both. This short list of jobs isn’t exhaustive, but shows the other side of the license portability issues military spouses face. Depending on the state, there’s an estimated 30-70 occupations requiring a license to work in specific career fields. Does your job require a license or certification? 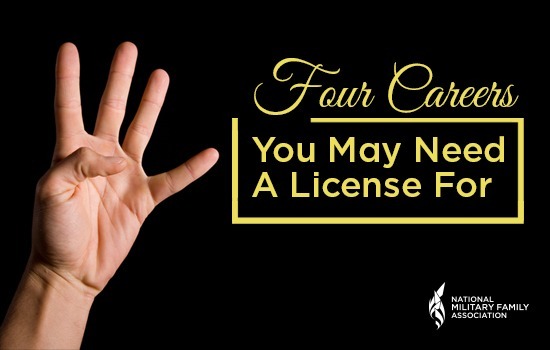 Have you decided against pursing certain careers because of licensing issues? Tell us your story.